Paradise Earth's Blend Vitamin C is truly a Nature Synergized superfood. 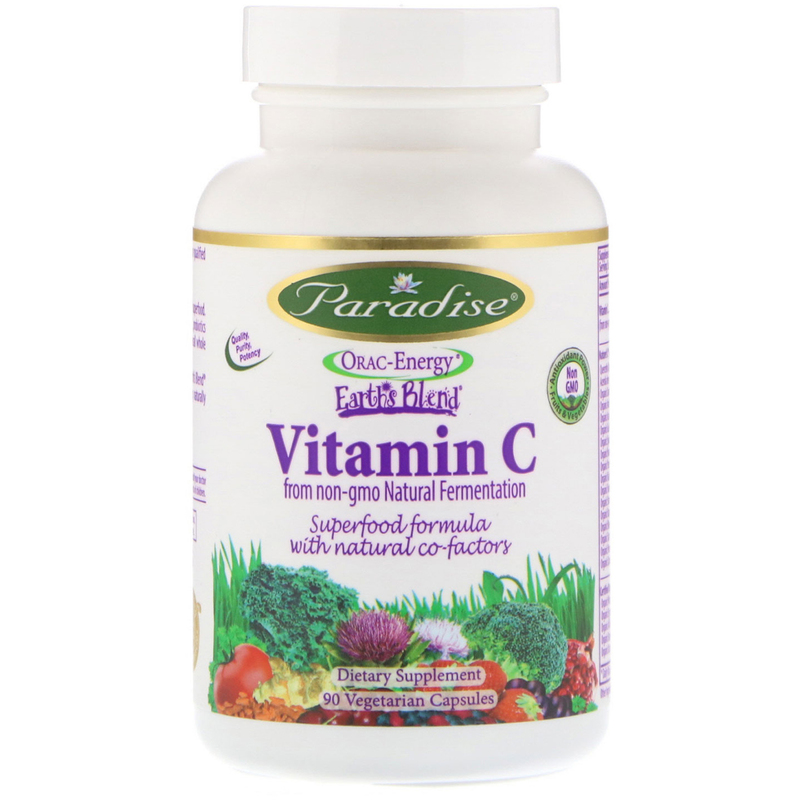 Our formula uses real whole-food goodness paired with vitamin C, probiotics and herbs to go beyond mere deficiencies and help support overall whole system health. 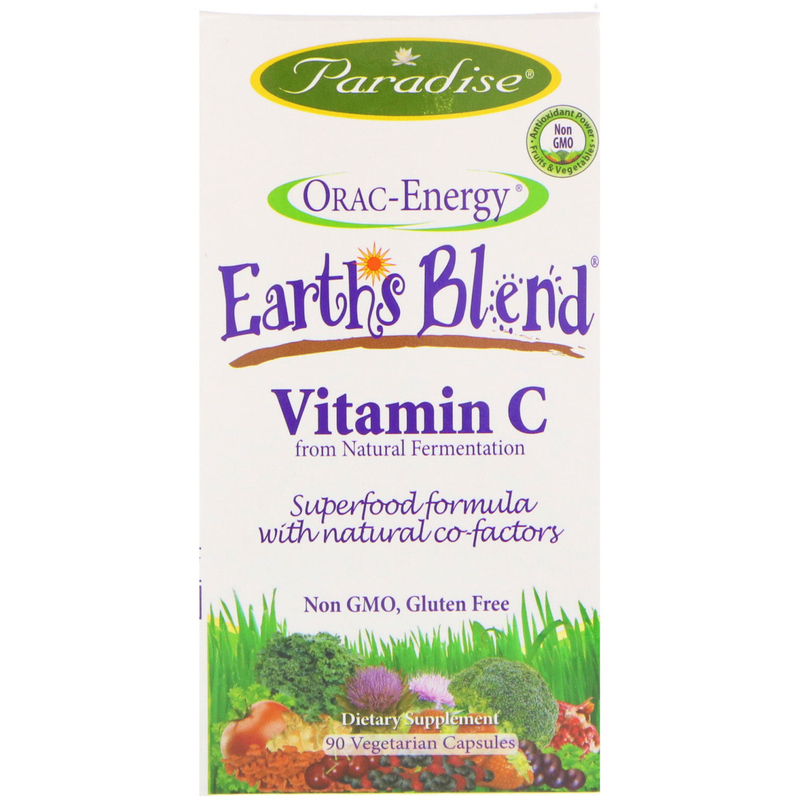 Our Natures C plus Veggie Berry Blend formula provides our Earth's Blend Vitamin C formula with synergistic natural co-factors including naturally occurring vitamins, bio flavonoids and other compounds. Take 1 vegetarian capsule daily or as directed by your qualified health care professional. 100% Vegetarian. Capsule (vegetarian cellulose). 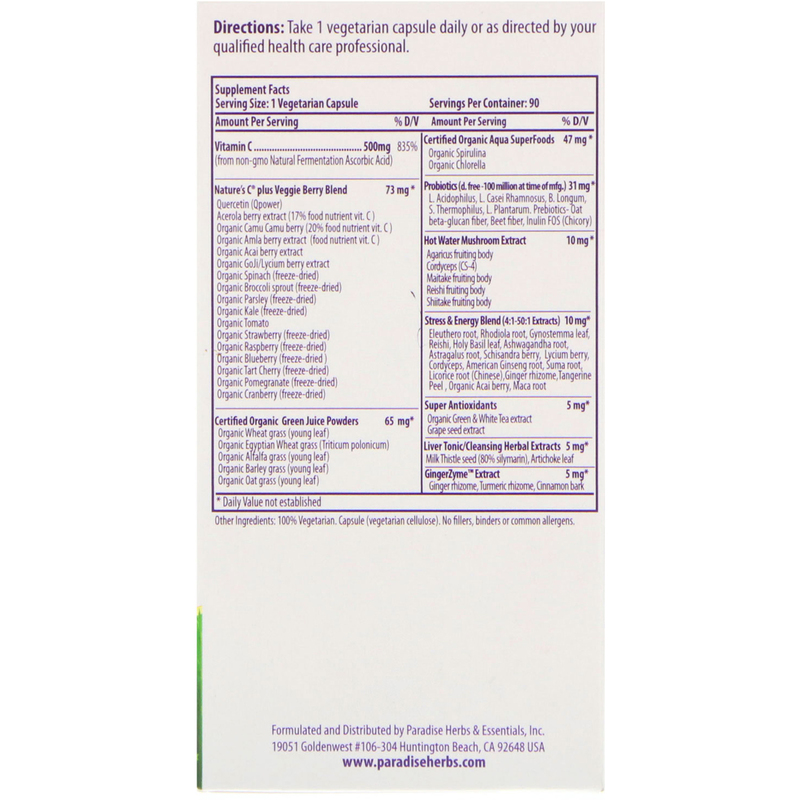 No fillers, binders or common allergens. As with any supplement, if you are pregnant, nursing or taking medication, consult your doctor before use. Do not use if either tamper-evident seal is broken or missing. Keep out of reach of children.